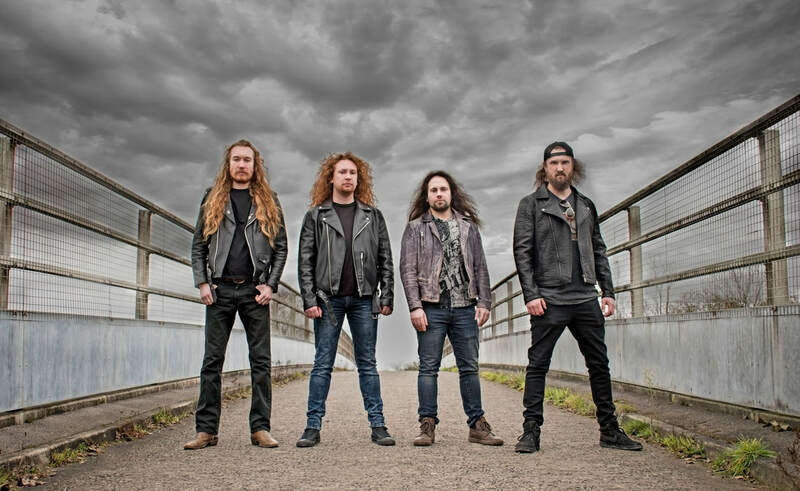 Southampton's Toledo Steel have been conquering stages across the UK and Europe since 2011 with their own style of 80s influenced high energy heavy metal and have proved themselves to be one of the UK's leading forces in the New Wave of Traditional Heavy Metal. Formation of the band, early demos and first gigs across the UK. Self-titled EP released in 2013. Toledo Steel performed at Brofest (UK), North of the Wall Festival (UK), Very 'eavy Festival (Netherlands) and Skullfest (Belgium). Support slots with White Wizzard, Volture, Cauldron and more. “Zero Hour” released independently and many shows across the UK including a tour of Scotland to promote it heavily. Toledo Steel performed at Up The Hammers Festival Warmup Show (Greece), RAM It Down Festival (UK), Souls of Ancient Warriors Fest (Belgium) and No Compromise Metal Festival (Belgium). Support slots with Portrait, Satan and more. Featured on the “Trveheim Volume 2” compilation. A run of shows across Germany and the Netherlands along with various shows across the UK. Toledo Steel performed at MISE Open Air Festival (Germany), Metal Magic Festival (Denmark) and Power of the Night Festival (Cyprus). Support slots with Tygers of Pan Tang, Dead Lord and more. Featured on the “British Steel” compilation by Dissonance Productions. UK tour with High Spirits. Performances across the UK and in Belgium, Germany and Finland. Toledo Steel performed at Brofest (UK), Toxic Waste Fest (Belgium), Trveheim Festival (Germany), Grimm Up North Festival (UK) and HRH NWOBHM II Festival (UK). Support slots with Manilla Road, Night Demon and more. “No Quarter” released by Dissonance Productions, Tom Potter endorsed by Blackstar Amplification, Matt Dobson endorsed by 101 Drums and Balbex Drumsticks. Tours in Scotland and England. Performances across the rest of the UK and in Belgium and Germany. Toledo Steel performed at Frost & Fire London (UK). Support slots with Satan, Blaze Bayley, Tytan, RAM, Lizzies, Hypnos and more.